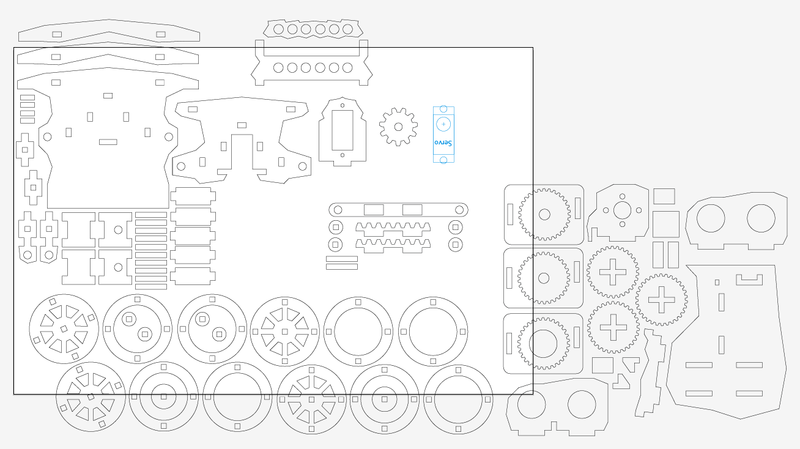 Already made a lot of modifications to the design, this is what i got so far. Still in the early dev. of cource. I added another none wood part, had a 6led strip laying around thought it woud make a nice headlight. 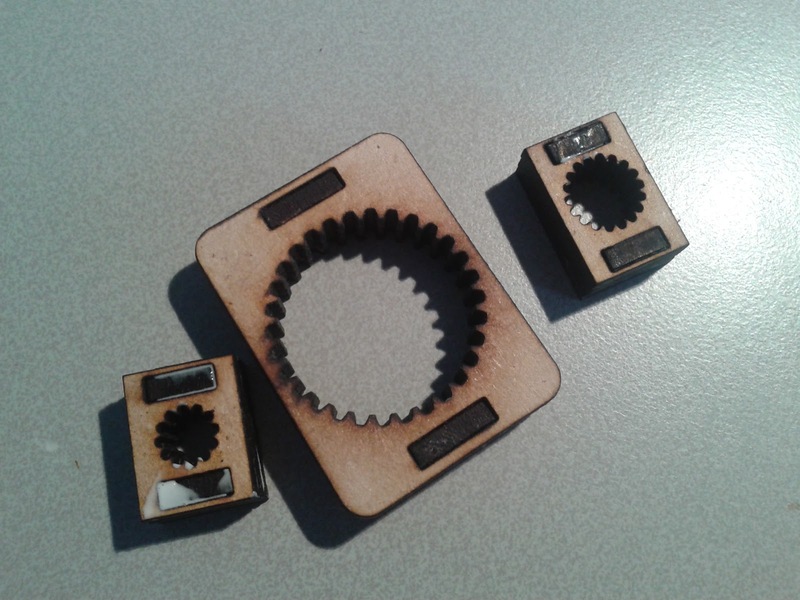 So as you can see there are 2 parts whith 6 holes in them for te led's. Also redesigned the front "bumper" it's now 3 layers thick (9mm). 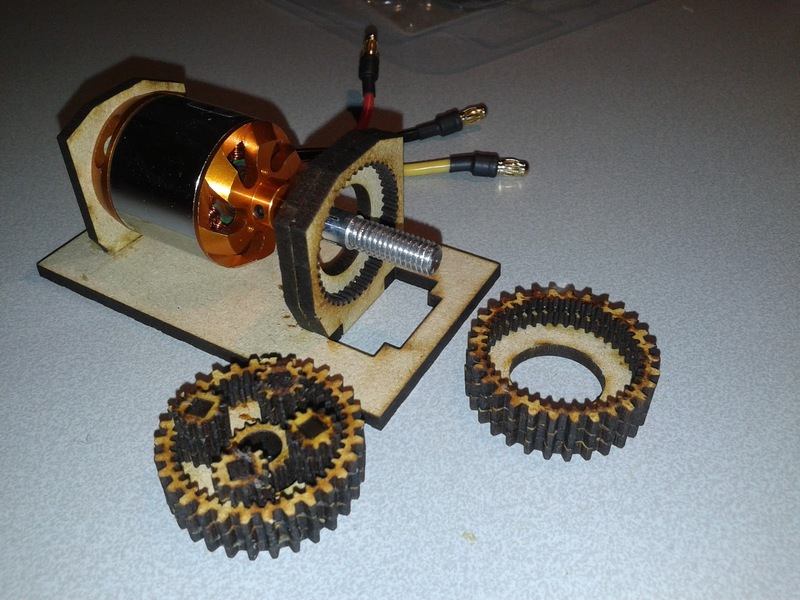 Biggest change is the stearing, i fliped the servo 90 degrees and made the stearing all wood. Had to change the top plate to accommedate this. So for now i start with a simple "normal" gear 1:1 this is going to turn the wheels way way way to fast but at worst its a starting point. The need to line the gears up perfect is solved by creating youre tools to do this. 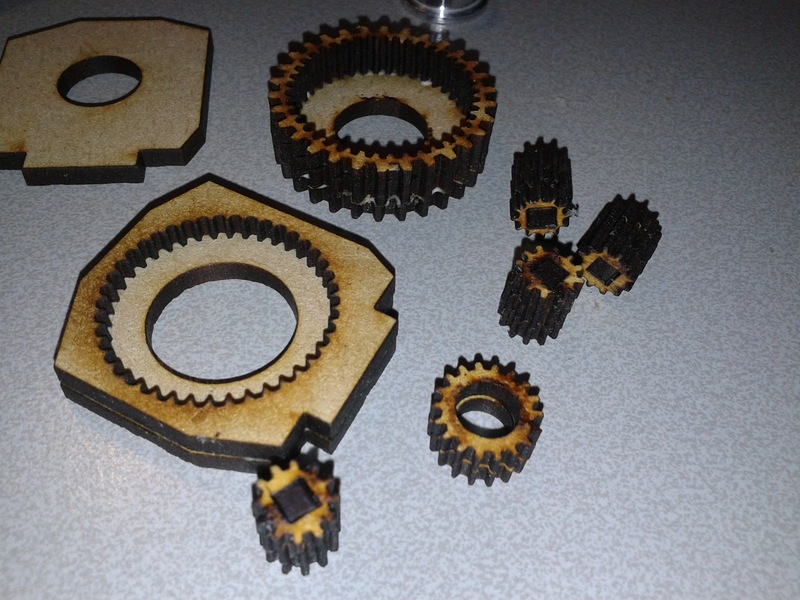 It's a bit more cutting for the laser but it greate's near perfect gears. What i did i used the hole the gear left behind, cut this out make a (or 2 ) extra alignment hole and glu the gear inside. Works perfect! thanks for sharing this here. i am sure that this will help them who are on some project of building a rc bil.